Rory Stewart, OBE, FRSL FRSGS is a British politician, diplomat, and writer. After a brief period in the British army, he joined the Foreign Office, serving in the Embassy in Indonesia and as British Representative in Montenegro, Yugoslavia. In 2002 he completed a six-thousand-mile walk from Turkey to Bangladesh. 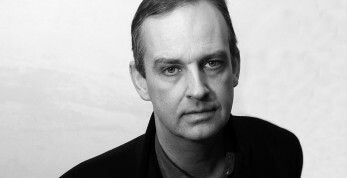 His account of crossing Afghanistan on foot shortly after the US invasion, The Places In Between, was published in 2004, drew widespread acclaim, and was shortlisted for that year’s Guardian First Book Award and won the RSL Ondaatje Prize 2005. He was awarded an OBE in 2004 for his work in Iraq, which is recounted in his book Occupational Hazards. Since May 2010, he has been the Member of Parliament for Penrith and The Border. He was elected an RSL Fellow in 2005. 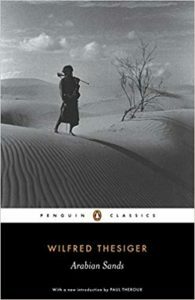 While the world struggled with decolonialism, genocide, revolution and modernity, Wilfred Thesiger walked the world’s largest sand desert – 250,000 square miles – stretching across modern Yemen, Saudi Arabia, UAE and Oman. The landscape is largely barren, there are no monuments to admire, the days are repetitive and, yet, Thesiger turns this confusing and potentially alienating journey into a compelling and unified narrative. His physical endurance makes Arabian Sands a unique and final witness of a particular aspect of Arabic nomadic life. 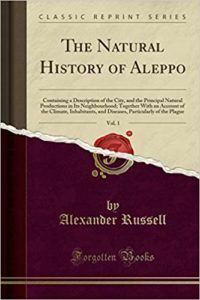 This combined work, by the Russell brothers who, between them, spent 31 months in 18th century Aleppo, remains the most comprehensive and compelling account of the city written in any foreign language. Their intellectual ambition is overwhelming – they examine everything – from agricultural techniques to clothing, horse furniture and every step of the massage in the hamam. They acquired their knowledge not in disguise but through long medical practice and, as a result, they describe places and customs rarely witnessed by foreigners. 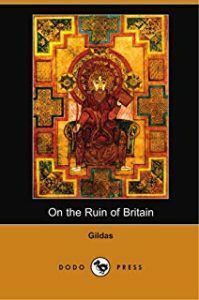 Gildas’ rhetoric – deeply marked by classical and biblical references, analogies with the apocalypse, and a sense of being isolated at the edge of the known world – is evocative of a society conscious of its own decline. The author – a sixth century monk – experienced Britain as a crushed, impoverished ex-colony – abandoned by the Romans – and a society with no records or sense of its own past. 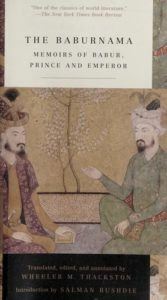 The author – the founder of the Mughal Empire – tells the story of his journey through Afghanistan on foot with impressive modesty and – though what he did was very dangerous – he doesn’t draw attention to this. Instead he focuses on the people he meets and uses the portraits of these individuals to describe their society as a whole.